Melbourne dance punk band 8 Bit Love are using cars and aeroplanes to travel the country for the release of their new EP Slummer Time. Past tours have seen the trio twerk on national landmarks such as The Big Banana, throw up once a day collectively and forget how to wear clothes. Joining the boys for the most western of all the shows is the lo-fi garage rock crew Apache and party boiz Electric Toad. Together they will make you sweat and boogie the night into a mess of tangled arms, legs and shoes. 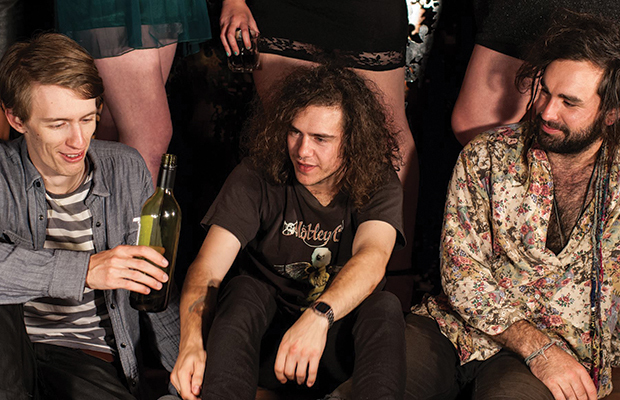 Subscribe to X-Press Shout-Out, and email: win@xpressmag.com.au to grab a double pass to their show at The Bird, Saturday, May 24 and a copy of Slummer Time.